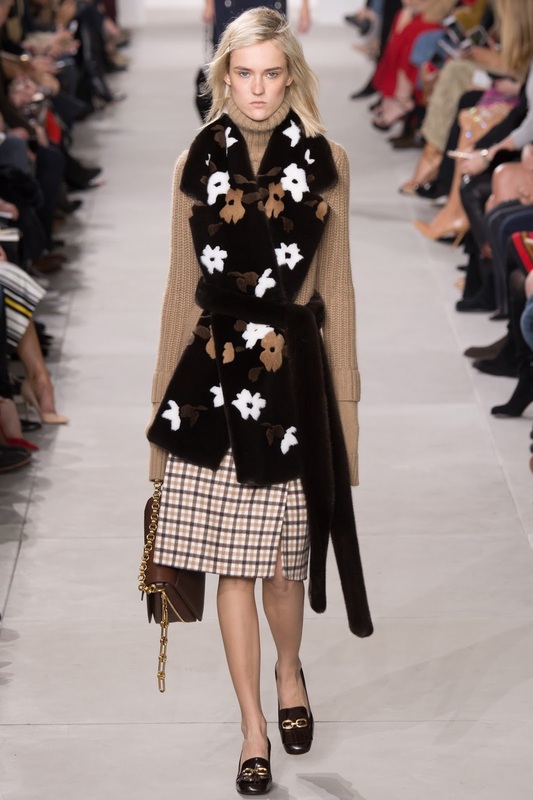 This Fall/Winter show at New York Fashion week marked Michael Kors' 35th collection for the colder season. Kors stated backstage that he was looking at individual style this season, and wanted to brighten up Fashion Month. Typically, collections are rather dark and moody for winter but Michael wanted to inject some spring-like colours and pieces to uplift the show. Like Tommy Hilfiger, Michael Kors conveys an all American feel which is loved by many - for example, when do you ever go out and not see a woman carrying one of his bags or wearing one of his watches, Michael is everywhere and he has a huge influence on fashion, especially for young adults. 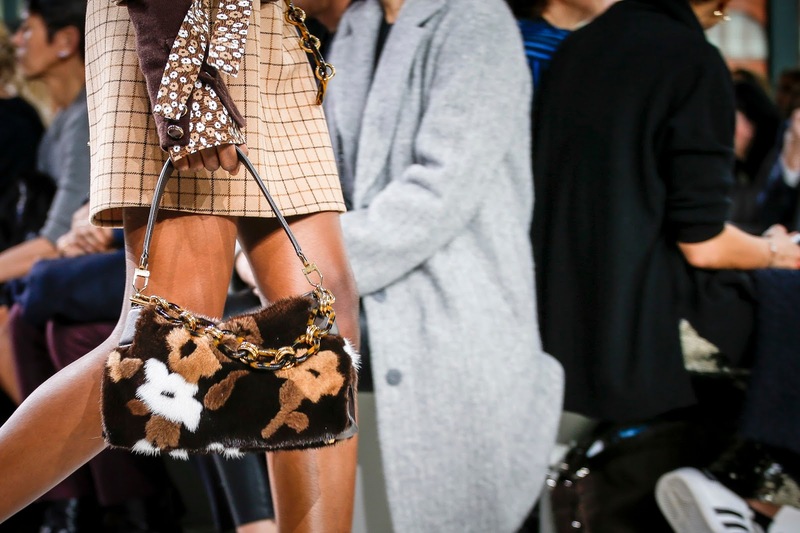 Kors also applied the new "see now, buy now" scheme where 6 pieces from the runway, and 6 accessories were available to buy as soon as the show had concluded. I have no doubt that many young women were waiting in line to get their hands on these desirable pieces. Despite the fact this was his 35th Winter show, Michael was in no way going back in time to honour his great namesake label. He has been in the industry long enough to know that fashion is ever-changing and this collection was evidently following that change and it worked for Michael. Of course some patterns, fabrics and pieces were similar to what he has presented before, which we all love, and it is great to see these making a new appearance. The collection was beautifully styled, and that is one aspect of his collections that I love so much. The tailoring, fabrics and overall look of the outfits are so well thought out and impeccably made. Long shirt sleeves cuffs extended past the tweed jackets, and cropped cigarette trousers really lightened up the mood for this collection. Masculinity and femininity were intertwining, giving us a great balance of both style and sophistication. 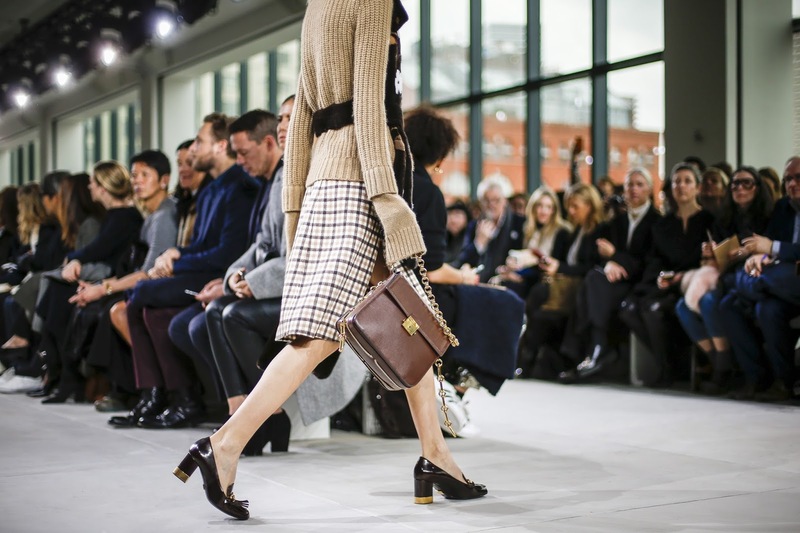 Heritage checks which have been seen before from Michael Kors made an appearance with beautiful cable knit jumpers and fur trimmed coats - which is always nice to see in Winter - a cosy and comfortable feel that is still very on trend. Michael said backstage that he also wanted to mix things up and not go for traditional options, meaning he chose heels and metallics for day (that beautiful gold mini dress) - and flats and knits for night. He presented that clothes make the woman, and personality and individuality is projected by all our own individual styles and tastes.